In other words, the perfect starting point for exploring the world of Via Ferratas. A gentle route along the mountain ridge, mixed with cable and walking paths following a long route of the First World War front line. The route is not simply a climbing adventure, but also a discovery of historical events which occurred only some 100 years ago. In addition, you will have the opportunity to breath in some of the most beautiful natural wonders of Dolomites between Valle del Biois and Vla di San Niccolò, and which are surrounded by some of the most dramatic mountain ranges: Pale di San Martino, Catinaccio, Sassolungo, Marmolada! 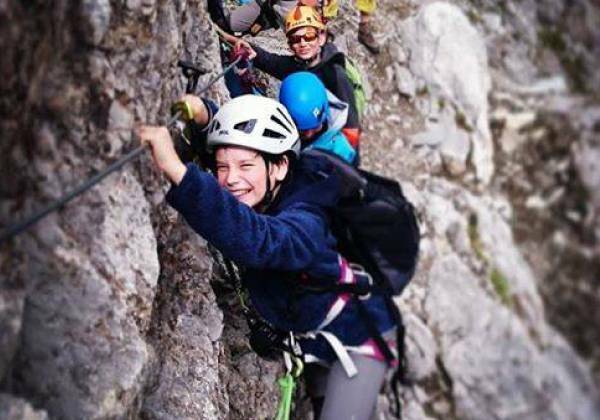 Via Ferrata is situated along the Costabella Rodge, which connects Monzoni mountain range to the peak Cima dell’Uomo. Natural route would be via Passo San Pellegrino using modern and fast lift Costabella which will help you reach 2300m altitude in no time. From here, after circa 40mim walk which will add another 200m to the height, we’ll reach Selle pass and the refuge bearing the same name. A short walk will take us closer to the crest from where we’ll continue our journey using climbing equipment. 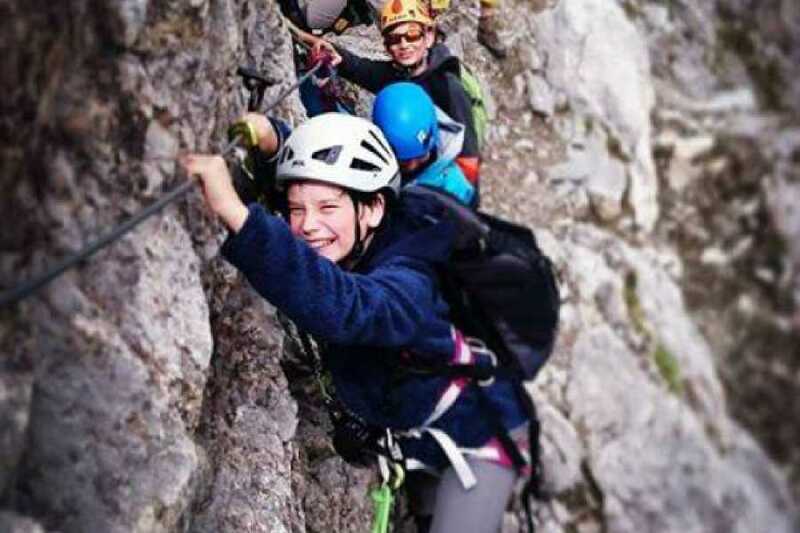 Route is mixed with walking paths and cable routes, through relics of the WW1 tranches used by Italian and Austrian soldiers, adding an extra flavor of history to an already exiting adventure. Along the way, we’ll have a chance to visit a small photo gallery about the WW1, after which we can focus on the descend. Shortly we will encounter a scree, followed by the panoramic path which will lead us to the lifts. A stone throw ways, we’ll arrive to San Pellegrino. Not overly demanding technically, but dotted with point where we’ll inevitably have a chance to get more confident being vertical. Suitable for less experienced, and teens who are already familiar with the mountains. Clothing and equipment: Technical alpine clothing, harness, ferrata kit, climbing helmet and approach and/or tracking boots, 20l backpack, energy snacks. Technical climbing equipment may be rented out from Travelsport. Number of participants: Min 3 people. If less, the cost remains €250.